BrewBakes is offering coffee shop master franchise opportunities in South Korea. If you are a business-minded person and willing to start your own business in South Korea then BrewBakes coffee café master franchise opportunity can be the best fit for you. We are India’s leading food café and coffee shop chain with our presence in various Indian cities and towns. With significant presence across India, now we are extremely glad to expand wings in international markets. We have solid business plan for passionate people who are looking for coffee shop master franchise opportunities in South Korea. If you are interested in our business plan then we can further discuss with you on how you can become BrewBakes coffee shop master franchisee. Why BrewBakes Coffee Shop Master Franchise in South Korea? South Korea is one of vital countries where BrewBakes coffee shop master franchise can be a successful. It is because it has strong economy which is the world’s 14th largest economy. Its economy witnessed an annual average of 10% over the 30 years. 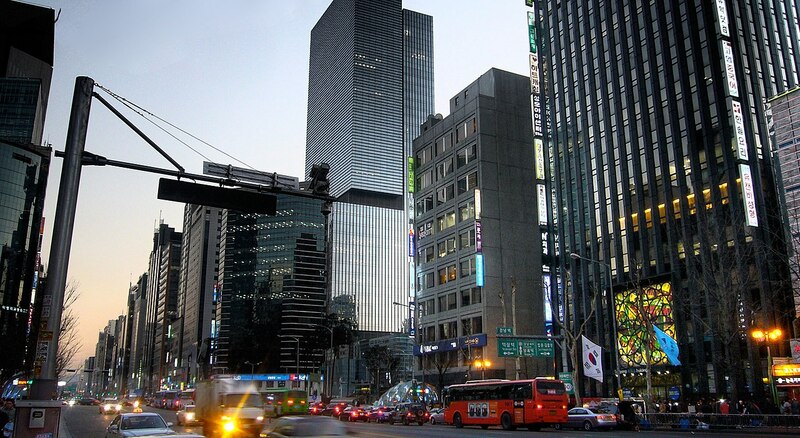 There are various industries in South Korea which are flourishing well because of perfect business climate. The country is the 5th largest exporter with the G20’s largest budget surplus. It is also a country that has stable credit rating of AA. It is also front-runner in low carbon green growth, helping developing countries. It is a technologically advanced, developed and well-established country driven by a highly educated and extremely talented workforce. It possesses Asia’s highest and world’s 8th highest median household income. In terms of personal safety, ease of doing business, healthcare quality and personal safety, the country ranks at prestigious position at global level. It is also known for the world’s 3rd highest health adjusted life expectancy and 4th most efficient healthcare system. It is also the world’s largest spender on R&D (research & development) per GDP. It also ranks third in the Youth Wellbeing Index. It is also one of the most innovative country in the world. Getting coffee shop master franchise in such as economically strong country can be certainly a wise decision for those people who are looking for business opportunities in South Korea. South Korea is leader in research and development arena, and ranks first in business R&D intensity. There are various industries, R&D centers, and technological companies in this country which are thriving rapidly. Some of South Korean companies have earned worldwide reputation. Samsung Electronics, Hyundai Motor Company, LG Electronics, Kia Motors, Genesis Motors, SK Group (SK Holdings), Korea Electric Power Corporation, POSCO (multinational steel making company), Hyundai Heavy Industries (world’s largest shipbuilding company), LG Chem Ltd (largest Korean chemical company), Samsung Fire & Marine Insurance, Samsung C&T Corporation, Hyundai Steel (a steel making company), Samsung Heavy Industries (the largest shipbuilders in the world), Daewoo Shipbuilding & Marine Engineering, LG Display (the world’s largest LCD panel maker), Hyundai Engineering and Construction, etc are some of noteworthy companies in South Korea. These industries and companies are providing huge job opportunities for talents from all over the world. Working professionals in these companies can be good customer base for coffee shop establishments in the country. South Korea is also good in its education system. Apart from primary and secondary level education system, the country has several prestigious educational institutions for higher education. Setting up coffee shops within the easy reach of students and educational institutions can boost the traffics to coffee shops. BrewBakes has explored several areas and cities of South Korea which are known for best educational institutions which can be beneficial for the life of BrewBakes coffee franchise outlets. Some of prominent educational institutions for higher educations in South Korea are Seoul National University, Korea Advanced Institute of Science & Technology, Sungkyunkwan University, Pohang Universities of Science & Technology, Korea University, Ulsan National Institute of Science & Technology, Gwangju Institute of Science and Technology, Kyungpook National University, Yonsei University, Kyung Hee University, and Hanyang University. Tourism in South Korea is also one of the main factors for opting for BrewBakes coffee shop master franchise. South Korea is one of the most sought after tourist destinations in Asia. It is Asia’s 6th most visited country, and the world’s 20th most visited country. It attracts about 11 million foreign tourists every year. There are a number of interesting tourist destination and lots of attractions in various parts of South Korea that attract tourists from different parts of the world. Most tourists come here from countries like Japan, Taiwan, Hong Kong, China, United States, Thailand, Malaysia, Philippines, Singapore, and Russia. The recent popularity of Korean popular culture, also called Korean Wave, has increased the arrivals of tourists from South Asia and India. The most popular tourist destination in the country is Seoul. There are also several places around Seoul which are also popular among visitors. Other popular tourist destinations in South Korea are Gyeonggi Province, Gangwon Province, South Chungcheong Province, South Jeolla Province, North Gyeongsang Province, South Gyeongsang Province, Busan, North Jeolla Province, North Chungcheong Province, Incheon, Jeju Special Self-governing Province, Daegu, Gwangju, Daejeon, and Ulsan. Seoul, Buyeo, and Gyeongju are known for historical attractions. Baekdudaegan peaks, Danyang caves, Hwanseongul caves, Haeundae beach, Mallipo beach, Jeju Island, and Ulleung-do Island very popular among nature lovers. Gyeongbokgung Palace in Seoul, Bukchon Hanok Village in Seoul, Changdeokgung Palace in Seoul, Haeundae Beach in Busan, Beomeosa Temple in Busan, Geumjeongsanseong Fortress in Busan, Haedong Yonggungsa Temple in Busan, Dalseong Park in Daegu, Donghwasa Temple in Daegu, Songdo Central Park in Incheon, Chinatown in Incheon, Gwangju Folk Museum in Gwangju, Gwangju National Museum in Gwangju, Hwaseong Fortress in Suwon, Seoraksan in Gangwon Province, Beopjusa Temple in Boeun, Hanok Village in Jeonju, Mireuksa Temple Site in Iksan, Nagan Eupseong Folk Village in Suncheon, Bulguksa Temple in Gyeongju, Seokguram in Gyeongju, Hwangnyongsa Temple Site in Gyeongju, Mount Halla in Jeju Island, and Cheonjiyeon Waterfall in Jeju Island are some other popular tourist attractions in South Korea. The high influx of foreign tourists can be highly beneficial and advantageous for coffee shop businesses in South Korea. This is why, you can too become a member of a high-growth and high-profit business sector by opting for BrewBakes coffee shop master franchise opportunity in South Korea. Brewbakes is offering coffee café master franchise opportunities in various cities and towns of South Korea. Preferred cities are Seoul (the capital and largest metropolis of South Korea), Busan, Incheon, Daegu, Daejeon, Gwangju, Ulsan, Suwon, Goyang, Changwon, Yongin, Seongnam, Bucheon, Cheongju, Ansan, Jeonju, Cheonan, Namyangju, Hwaseong, and Anyang. We are highly pleased to provide coffee shop master franchise opportunities from all these cities of South Korea who are very passionate about coffee shop master franchise business in South Korea. For more details about franchise models and coffee shop master franchise business opportunity in South Korea, contact us today. Call now: +91-7838938556, 011-22755534 / 43016140. Grab this opportunity and become your own boss.